Sign up for the Affordable Care Act, or Obamacare, at Healthcare.gov. WASHINGTON, D.C. — The Affordable Care Act, commonly referred to as Obamacare, has dominated the headlines since election day. Republicans have spend more than six years vowing to get rid of the law and now that Donald Trump is president, the goal is within sight. So if you’re without health insurance and have yet to sign up for 2017, the question is, should you bother? The deadline is Tuesday, Jan. 31, 2017 to sign up on Healthcare.gov and health policy experts encourage people to sign up, especially working families whose employers don’t provide a health insurance benefit. Consumers shouldn’t worry that if they sign up for ACA health insurance this year that there will be any major changes to their coverage in 2017, they say. That’s because Republicans have yet to come to a consensus on how to replace it. 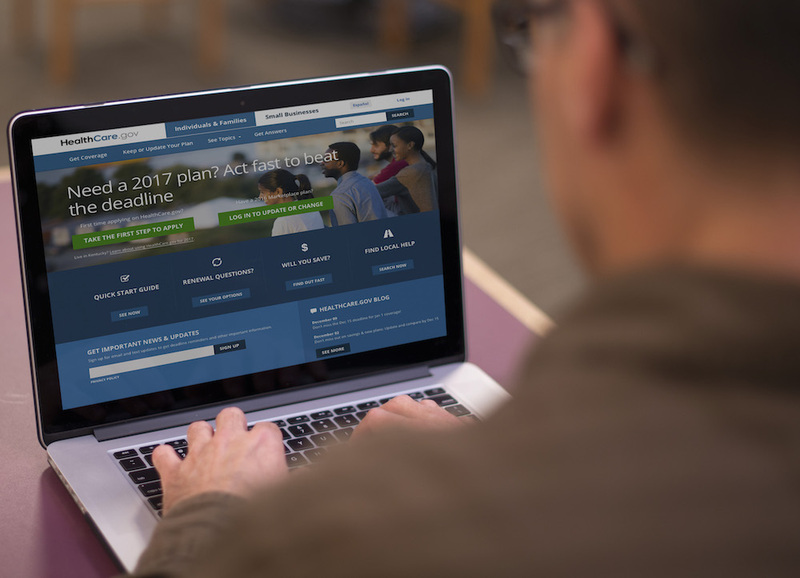 “For 2017, people enrolled in an ACA plan should feel confident that they will have coverage,” says Elizabeth Hagan, a senior policy analyst at Families USA, a nonpartisan consumer health advocacy organization. Sylvia M. Burwell, outgoing Health and Human Services secretary, also is encouraging people to sign up. Trump’s vow that it will be “cheaper and better” will be hard to accomplish while also getting rid of the individual mandate and subsidies that are in opponents crosshairs, according to the Congressional Budget office. Through Jan. 14, 2017, the federal Centers for Medicare and Medicaid Services report that 49,633 had signup in the Green Bay to Appleton area up for coverage through Healthcare.gov. That’s part of the 235,444 people in Wisconsin who have signed up. More than 8.8 million Americans were signed up for 2017 coverage through HealthCare.gov as of Jan. 14, 2017, including 235,444 in Wisconsin. This compares to about 8.7 million sign-ups nationally as of Jan. 14 last year, as Americans continue to demonstrate strong demand for 2017 Marketplace coverage. Wisconsinites should visit HealthCare.gov or CuidadodeSalud.gov to review their coverage options, learn about what financial assistance is available, or to sign up or re-enroll in a plan that best meets their needs. Since Open Enrollment began on Nov. 1, 2017, exactly 235,444 Wisconsin consumers have selected a plan using the HealthCare.gov platform. Coverage could be more affordable than you think. Sixty-three percent of Wisconsin Marketplace enrollees can find plans with a premium for less than $75 per mont. Nationwide, about 8 out of 10 people who enroll in health coverage through HealthCare.gov qualify for financial help to make their monthly premiums more affordable. Shopping for a better deal could save you money. For 2017, HealthCare.gov consumers in Wisconsin could save an average of $608 annually in premiums for a plan in the same level of coverage by returning to shop. If you had coverage through HealthCare.gov for 2016, you should come back to update your information and compare your options for 2017. It’s easier than ever to find a plan that meets your needs and budget. This year, when consumers come to HealthCare.gov, shoppers will find a stream-lined, user-friendly process. Comparing plans online or on mobile will be an intuitive, step-by-step process to click or swipe through. Simple, easy-to-understand presentation of plan features like cost-sharing and provider networks will help consumers find what works for them.